Mormac specialises in the construction of luxury homes and extensions with a classical elegance and style that incorporates modern construction and technology. Tailored to our client’s lifestyle, aesthetic and budgetary requirements, each home we build reflects our boundless creativity, attention to detail and application of craftsmanship throughout. We maintain a direct and personal relationship with all of our clients, craftsmen and suppliers, and have an uncompromising desire to create the highest quality that fulfils and exceeds expectations. At Mormac we believe the creation of exceptional homes can only be achieved through our unceasing determination, pride, passion and meticulous attention to every detail, at every stage, from initial design to finishing touches. 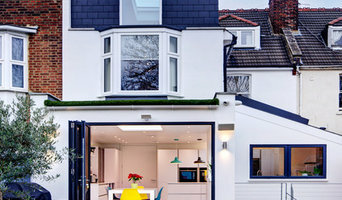 With over thirty years of experience, Mormac has earned a coveted reputation for the design and creation of bespoke new homes and extensions on behalf of private clients. The greatest possible accolade repeatedly given to our business is the expressed satisfaction by our clients and personal recommendations extended by them. Every home we create bears testimony to this ethos, resulting in elegant, individually designed homes where quality and craftsmanship are crucial to meeting the expectations of our customers. Reputation is our best asset, we provide you with a client list for you to contact Having works carried out in your home can be daunting and disruptive. We make your experience as stress free as possible and try to exceed your expectations, We listen to your requirements and carry out the complete job with as little disruption as possible. We are available to discuss the work as it progresses. Changes are accommodated with minimum fuss. We never lose sight that it is your home and it should be finished the way you want it. We are on site each day until the works are completed. Works are guaranteed to ensure your peace of mind. We can undertake the complete project inc design, planning and management or if preferred we will provide the construction and fitting out works elements only; our service is as individual or as all encompassing as you require. We are here to serve you. Our organisation is made of growing team of specialist builders ready to work under pressure to provide the best quality of construction. We are dedicated to providing fully comprehensive solution to our customers, whether commercial or residential. With our experts, you can be assured that our work is carried out to the highest standard. Your expectations will be more than met. Velyov's teams are focused on providing high-quality service and customer satisfaction. We believe that the quality is what help us keep increasing our reputation and good relationship with our customers. With a variety of offerings to choose from, we're sure you'll be happy working with us. 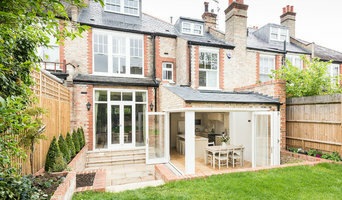 Venta Construction has quickly built a strong reputation as a leading contractor specialising in construction, fit out and refurbishment services throughout greater London. Our focus is on developing a thorough understanding of the needs of all our clients and delivering value and excellence in every aspect of our service. We bring the highest levels of commitment and experience to our projects. Our mission is to work closely with our clients from the initial design stages through to completion, ensuring that all expectations are met. Working with both commercial and residential builds, we consistently deliver projects on a time and cost effective basis – with minimal disruption to your business and local community. Please get in touch with us today! We would love to hear from you. houseUP is the digital construction company that reliably manages your project from conception to completion. We’ve revolutionised the construction industry by introducing digital tools to give you full control and visibility of your project and your budget. Are you planning a full home renovation, a new build, a loft conversion or perhaps a large extension? We're specialists delivering outstanding results, as well as making the whole process as seamless as possible. With houseUP there are no unpleasant surprises: transparency for our clients is incredibly important to us. We provide you a unique design, with accurate pricing and a clear timeframe - removing all the hassle and stress involved. Get in touch today to find out more about how we can help you. 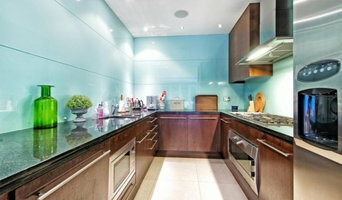 Flow Property services is a London based full service design and build company. We are known for and pride ourselves on intricate attention to detail, fantastic customer communication and service and superior craftsmanship. Our service is the entire 'design to build' package, making your renovation seamless and enjoyable. We carry out property refurbishments, loft conversions, extensions, property maintenance and general building across the capital. We provide complete project management and a full service when working for private clients or when outsourced by engineers, architects or interior design firms across any type of construction service and we endeavour to deliver a first class finish to every project with thorough attention to detail and maintaining a flowing communication with the client at every step of the work. From our initial meeting with you, we are dedicated to creating your dream home. Please do get in touch so that we can help you! Why not build you own house with the help of Biggin Hill, Kent builders? Builders in Biggin Hill, Kent can be employed to handle a wide range of projects; from knocking down a partition wall to building a kitchen extension, but you’ll certainly need the help of a trusted house builder if you plan to build your own home from the ground up. But why would you take on such a task? This may seem like a daunting task, and admittedly, it’s not for the faint-hearted. But with extensive research, trusted builders in Biggin Hill, Kent, detailed budgeting and good judgement you might soon be sitting in the house of your dreams, at a snip of the cost. Your architect’s plans will serve as clear instructions to your builder and, if the former has done their job well, you should also avoid any nasty surprises with the local council. Finding the right Biggin Hill, Kent builder need not be a long or difficult process. 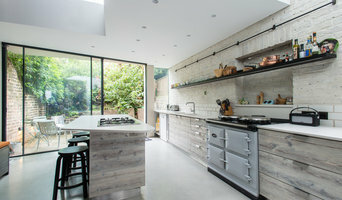 Personal recommendations aside, a good place to start is the Biggin Hill, Kent Home Builders category of the Find a Pro section on Houzz, where you can see their previous work and ask questions. Compile a shortlist of at least three builders in Biggin Hill, Kent that can handle the full scope of works, either by themselves or through sub-contracting. It is often a good idea to play devil’s advocate and ask what the builder will not be responsible for, such as structural engineer consultations. Be weary of unusually cheap quotes. Ask for references and stories about how the builder has met different challenges along the way. If you can, you could try to see builders’ previous projects in person and talk to previous clients, or if not, read reviews, recommendations and ratings, and look at detailed photos of projects. How long have you been operating as builders in Biggin Hill, Kent? Find builders on Houzz. Narrow your search in the Professionals section of the website to builders in Biggin Hill, Kent. You could also look through Biggin Hill, Kent photos to find a project you like, then contact the Biggin Hill, Kent builders that created it.